India 3-182 (Sachin Tendulkar 71, Virat Kohli 50, James Pattinson 3-25) trails Australia 380 (Michael Clarke 130, Moises Henriques 68, David Warner 59, Ravichandran Ashwin 7-103) by 198 runs. 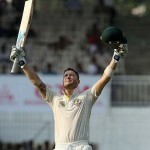 Australia scored 380 runs in their first innings after 133 overs and India replied with a solid 3-182 after 52 overs. The second day’s play came to an end on Saturday, February 23, 2013, at MA Chidambaram Stadium, Chepauk, Chennai. Earlier, Australia started the day at 7-316 in 95 overs whereas Michael Clarke and Peter Siddle were unbeaten on 103 and 1 run respectively. The batsmen were subdued in the beginning and scored just seven runs in the first five overs. The run rate remained almost the same in the following 10 overs which produced another 18 runs and they crept to 357 after 115 overs. 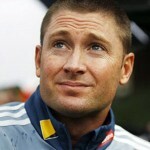 Clarke was dropped by Cheteshwar Pujara at silly point off Ravindra Jadeja at 128 on the second ball of the 116th over. He was finally caught by Bhuvneshwar Kumar at long on at the bowling of Jadeja for 130 off 246 deliveried with 1 six and 12 fours. The last two wickets added 19 runs as the entire Australian side was bowled out for 380 runs in 133 overs. 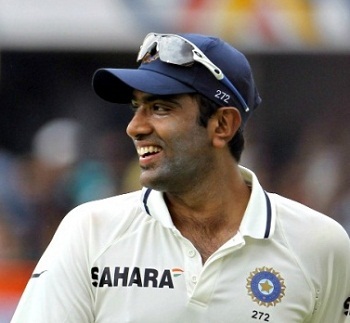 Ravichandran Ashwin was the star performer and grabbed his career’s best figures of 7-103 in an innings. 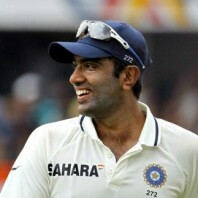 Ravindra Jadeja held two whereas Harbhajan Singh was successful in taking one wicket. India began their innings disastrously by losing their openers for just 12 runs in 5.2 overs as James Pattinson struck twice early. Murali Vijay and the seasoned Virender Sehwag were clean bowled for 10 and 2 runs accordingly. Cheteshwar Pujara and the little master, Sachin Tendulkar joined in at the crease. Tendulkar made his intentions clear by hitting 3 fours on the first four balls he faced and Pujara carried on with the stabilising process. The Kangaroos captain, Michael Clarke, made a few changes in the bowling to get another breakthrough but the batsmen remained composed at their ends. The pair continued enhancing the score with the assistance of a few boundaries as Tendulkar survived a huge leg before wicket off Nathan Lyon on the second ball of the 22nd over. The first hundred of the innings was displayed on board in the 27th over. The third wicket partnership was broken at 105 when the stumps of Cheteshwar Pujara were dislodged by Pattinson for 44. 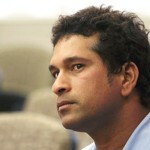 The young gun of India, Virat Kohli, got together with Tendulkar who scored his 67th Test fifty in the 32nd over. Kohli got his first boundary in the next over and added a couple of more until the end of the 36th over when the last drinks break on day two was taken. Kohli added 2 fours in the 41st over off Michael Clarke as Sachin Tendulkar was going as solid as ever. Virat Kohli followed his partner in the 52nd over by clinching his sixth Test half century and secured the end with 50 off 84 balls with 7 fours. Sachin Tendulkar was in the center with 71 from 128 deliveries comprising 6 fours as India managed 182 in 52 overs with seven wickets in hand at stumps on day two. James Pattinson was the only impressive bowler who took all three wickets of the rival innings as the other five bowlers remained wicketless. India is still 198 runs behind the first innings total of Australia but they have two well set batsmen at the crease and plenty of batting still to come that can get them a reasonable lead. The Kangaroos are very much in the game and some attacking bowler on the third day can give them an edge over the hosts.